President Kennedy waved from his car on Nov. 22, 1963, shortly before he was killed. 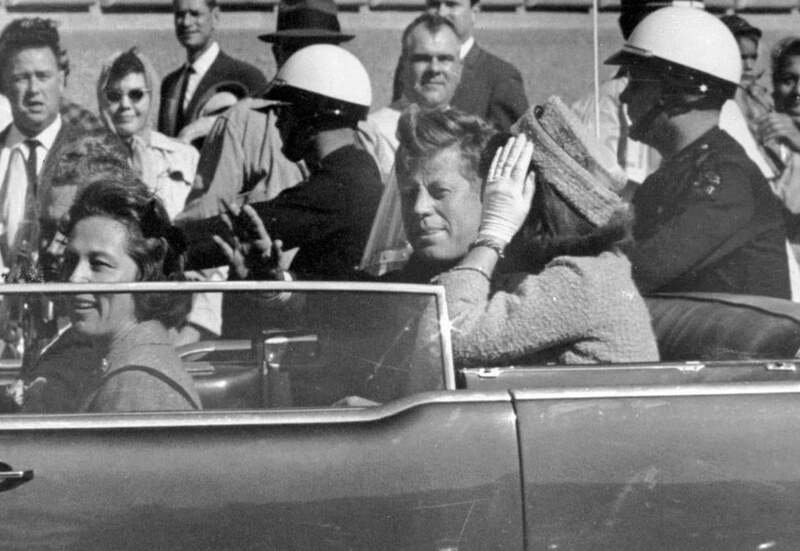 On Thursday, a promissory note from a turbulent moment in the nation’s history comes due: That’s the deadline for releasing the remaining classified documents about the investigation of John F. Kennedy’s assassination, in 1963. All documents, photos, movies, sound recordings and artifacts related to Kennedy’s murder in Dallas are housed in a 5-million-page collection in the National Archives and Records Administration. Although NARA has released documents before, a law passed by Congress in 1992 mandated that everything be made public by Oct. 26. Only the US president has the authority to stop the release, on national security grounds. Last weekend, President Trump tweeted that he won’t block the release, “subject to the receipt of further information.” Although intelligence agencies have reportedly pressured for some documents to remain classified, Trump has the right instinct. He should resist the pressure and open the files, perhaps with minor redactions to protect individuals still alive. But even some Warren Commission investigators, in their elder years, came to believe that the 888-page final report left out evidence that would make the CIA and FBI look bad. Retired law professor David Slawson, a government investigator for the commission, wrote that the CIA knew important details about Oswald’s mysterious trip to Mexico City weeks before the assassination, and could have intervened, according to Politico. Other conspiracy theories are more outlandish, including Trump’s attempt during the 2016 campaign to link Ted Cruz’s father to Oswald. (Politifact gave that ridiculous claim a “Pants on Fire” rating.) Ted Cruz can probably rest easy, however. Assassination scholars don’t expect a thunderclap of revelation in this last tranche of documents. That won’t stop scores of breathless armchair analysts from looking, of course: Sixty percent of Americans believe in some form of conspiracy surrounding the assassination, Joseph Uscinski, a political science professor at the University of Miami, told The Atlantic. And expect a new round of speculation about the imagined role of the deep state from conspiracy theorists like Roger Stone, who is pushing Trump to allow the release. Historians and experts don’t expect bombshell revelations, but the impending release has excited scholars and casual conspiracy theorists. But a push for transparency — even from Stone — serves the long arc of history and helps us understand and encode our own future. Trump should allow the last papers to be released, in as full a form as possible.